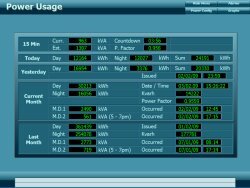 EnECOMS is an Energy Management System that puts the user in control of their energy consumption by monitoring energy usage from the main energy supplier and reacting intelligently to the incoming data by shedding load in a controlled systematic manner. 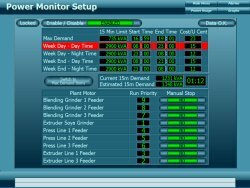 Additional metering is catered for which enables data to be provided for specific areas of each facility. 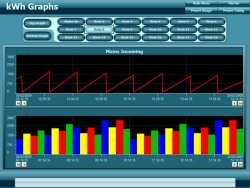 EnECOMS consists of PC based computer system equipped with multi-functional energy management software to collect, analyse, display and archive data obtained from the Energy Control PLC. 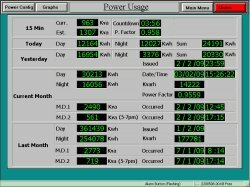 The Energy Control PLC at the heart of EnECOMS processes and reacts to continuous captured data obtained from 3 main signals from the energy supplier: kW pulse, kVA pulse & 15Min. Cycle Pulse. 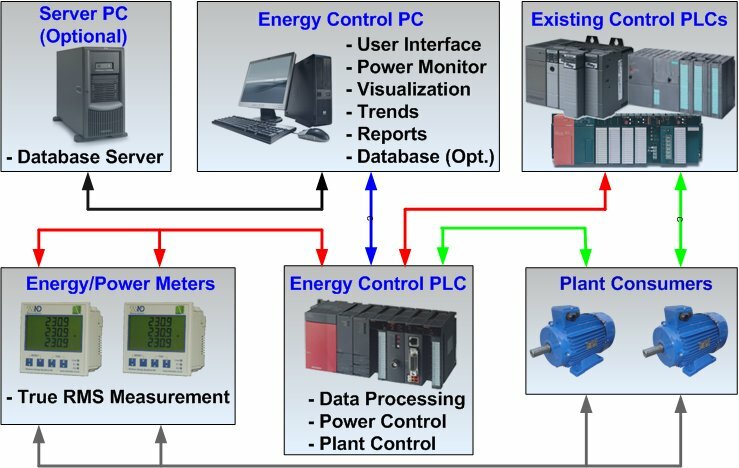 The Energy Control PLC sheds load by disabling or restricting targeted machines or segments of any enterprise, which guarantees observance of the users energy procurement contract terms. 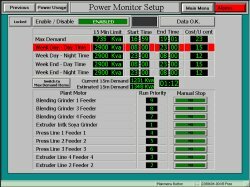 The Energy Control PLC takes automatic control over the segments of plant through the Max Demand Period. Stops routes, plant motors on scheduled time basis before Max Demand Period and maintains energy usage at the users required levels. 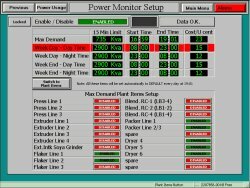 External Power Meters connected to the Energy Control PLC allows the user to centralise control and viewing of data from any selected meter connected to various plant devices or plant segments. Mitsubishi Q-Series PLC equipped with the input/output modules, Communication, Ethernet & CC-link modules.